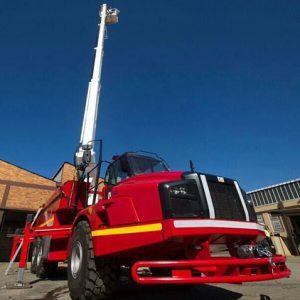 Bronto Skylift aerials are designed to include all necessary equipment installed within the working cage and ready for immediate use. The aerials are available with a variety of options to meet all the customer’s specific requirements. 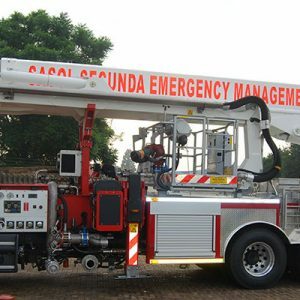 Lighting systems, cameras, monitors, cutting tools, hydraulic tools, mobile extinguishers and rescue chutes can be mounted inside the working cage. 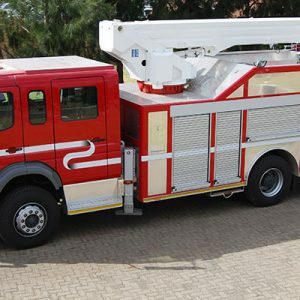 All Bronto Skylift aerials can be fitted with an integrated rescue ladder, lighting systems, cameras, breathing air, monitors as well as an integral water way.